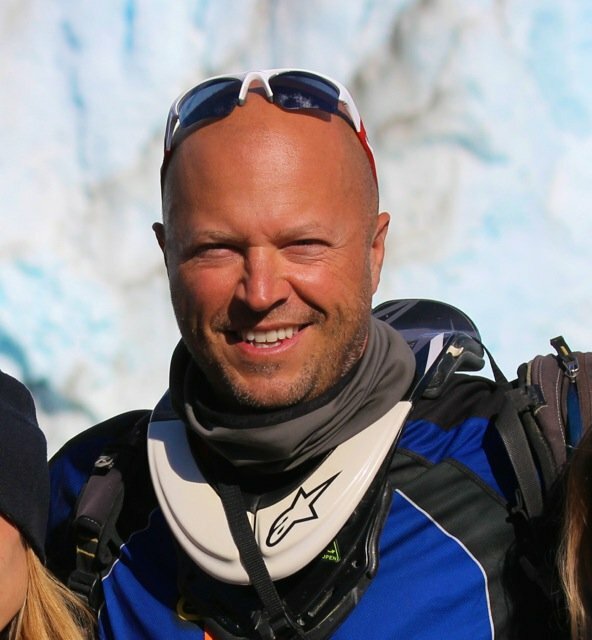 Riding and researching Thailand, Laos, and Southeast Asia .... FINALLY! One of those projects that I couldn't wait to get started has finally begun ... 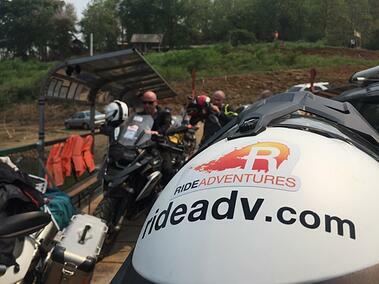 I'm in Thailand right now at the beginning of month-long research riding project for RIDE Adventures to expand into Asia! After a night in Shanghai on the way in (an interesting first-time experience for me in China) I arrived in Chiang Mai, Thailand about a week ago, and started taking in the fantastic smiles and friendly faces of the Thai people. Particularly the Old City of Chiang Mai was quite a site to take in, with something like 40+ Buddhist temples throughout. My being a Thai food junkie even back home, I've been off to a great start on this trip. 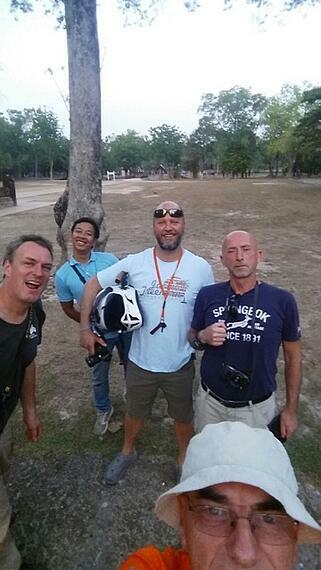 Together with a few Riders from previous Patagonia trips and some local professionals based here in Thailand, we're riding BMW R1200GS's and F800GS's over mix of on/off-pavement routes, up into Laos and back to Chiang Mai over the next few weeks. Plans are to offer both Self-Guided and Guided Group motorcycle trips here in southeast Asia, but only after all the research has been done and the right pieces are in place. 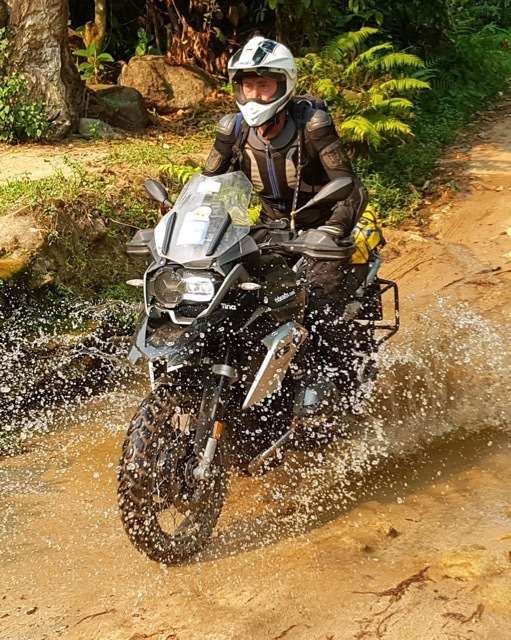 From what I've understood, we may be the first operation to offer true dual-sport riding on the big adventure bikes in Thailand. Sure, there are dirty, rutty mountain sections where a 450cc enduro bike would be more appropriate, but after riding some rugged terrain deep in the forests west of Sukhothai near Mae Wa National Park, all Riders are pumped for the opportunity to get back out on the huge sweeping paved turns and tight twisties to cool-off and make this trip the ultimate riding adventure. Random stops for fresh roadside fruits and treats are making this a complete travel experience. Today is a Rest Day, and we're heading into this fun city of Nan in northern Thailand to celebrate Songkran, which is the Thai New Year's Festival. As was explained to me, the constant dousing of water by folks along the roads that has already begun is done yes, for helping others "keep cool" physically, but also for helping our spirits remain cool and calm, and therefore in the most peaceful state of mind. Now in the hottest month of the year in Thailand, and perhaps with all that's happening in our world these days, this seems quite appropriate. 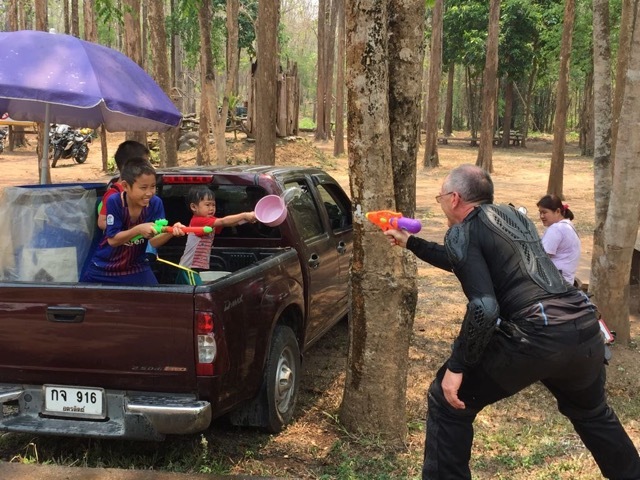 Many roadways have been lined with kids and their squirt guns and buckets of water, as Dermot below is seen fighting off some local water warriors. More updates soon. Gotta get my camera & dry bag situation straightened out, and ready for more riding further north toward Laos tomorrow. What a great time of year to be here though, watching the excitement of the Thai people (especially the kids) as everyone relaxes for 3 days of fun leading into Songkran. Really enjoying getting to know the people of this beautiful country, and seeing what riding terrain and scenery lies ahead!